So this post is long, long, LONG overdue. But I think it is worth retelling, so let's travel back to October, the month of MortadellaBO and to Melissa's visit with me in Bologna! Yippee! Days before Melissa arrived in Bologna, I "liked" the Umberto Cesari S.r.l. Facebook page. This turned out to be the best decision, because that very same week they happened to post about a fabulous wine event that was going to held on the weekend in Bologna at the Gia Baglioni hotel. I clicked through the link to get more information, noticed the price was a little high for my budget, but did not totally rule it out. 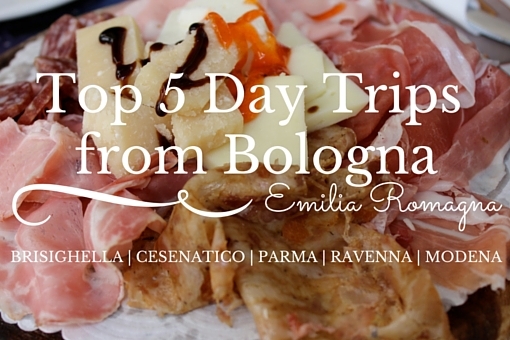 I continued to dig up information online about the event then quickly passed on the results to Melissa to see if she would be interested in the "wine tasting" her first night in Bologna. She said it sounded like a good idea, so that was that, we had Saturday plans. We did not really know what we were getting ourselves into... We were just hoping whatever the real content of the event was, was that it would be worth every one of our 25 euro spent. We showed up rather punctualy and with growling stomachs, hoping that there would be enough food to hold us over. Upon arrival in the Gia Baglioni, Due Torri Hotel, we quickly realized that we were going to be far out of league and by far the youngest people attending the event. Climbing the grand staircase to the event hall we were stopped to pay our sacred 25 euro, we received a receipt, and then were promptly given a glass. We could already spy delicious hors d'oeuvres piled on a stacked buffet table and two vineyards representing their own two tables in the fabulous room dressed with a grand and elegant murano glass chandelier. Before getting too giddy, we followed the "God Save the Wine" signs for the coat room, hung our coats, chatted about how to go about the night, then dove straight into the first room of deliciousness. Little did we know this would be the first of many! Stacked on the buffet table was an endless supply of mortadella based hors d'oeuvres. There were tiny boats filled with a mortadella garnished salad, a mortadella polenta, and just plain old fat cubes of mortadella... this was a great find, and already proving worth our 25 euros. Careful not to fill up on mortadella, we circled the room looking to get our first assaggio of wine for the evening. We stumbled upon two tables that each were sampling five wines each, and we realized this was probably already too much wine to handle! Who would've thought! First stopping at the very friendly Zuffa vineyards, we got a very thorough explanation of their organic wines and learned a lot about the history and location of their vineyard (a local Bolognese vigna). We proceeded to try all of his wine which was very delicious, while practicing the take a few sips and pour the rest out method. After staying safe and hanging by the Zuffa table, we realized that the other guests were disappearing off into other rooms. So we dared to look around the corridor to a grand hallway that was lined with tables from other vineyards... score! The twenty five euro spent was seeming well worth it at this point. Before going after the wine at these tables we decided to further explore. Off the hallway were two sitting rooms, one which we snagged a table in, the hallway continued left where there was another buffet piled with different finger delicacies... my favorite being a MORTADELLA BALL, in a FRIED sesame casing or Bocconcini di mortadella fritti al sesamo nero. It was by far the best thing I had tasted there that night. Taking our treats back to our table we made a game plan. We noticed there were a couple of younger people filtering in, so we no longer felt out of place, plus the wine was helping our confidence. We ate our food then went back out past the buffet table down to a secluded room that was home to the French vineyards who had brought various fancy champagnes. And yes, the gave us a half glass to try! Could this get any better? After trying the delicate and delicious champagne I told Melissa I wanted to find the Umberto Cesari table for they were the reason why I had discovered the event at all, and my mom and I were already passionate about their wine. We met the lovely woman who was pouring for Umberto Cesari, and we first tried the Pignoletto frizzante. It was not my favorite of the pignolettos I have had here in Bologna, but that could have been because it was actually mixed with some chardonnay grapes. I told Melissa about my history with Cesari wines, and we proceeded to explore the event and attempt to make friends. As an hour passed we were feeling rather good, even after pouring out the majority of the wine that had been poured to us. It was seeming like an impossible accomplishment to even taste every vineyard present. Our Zuffa man remained our favorite guy to talk to, but we also befriend the man who had become on behalf of a Tuscan winery, as I explained I wasn't completely convinced by Chianti. However, I came to admit that I found a few of his wines quite delicious. Strolling back past the Umberto Cesari table we noticed they had started pouring a red into a decanter, and that seemed so special so I quickly became intrigued. I asked for a pour, and was told it was their Liano, and I soon fell in love. It was a sangiovese cabernet sauvignon and I couldn't get enough of it! So much that as the night went on and we tastes as much as we could, mingled as much as we could, we thought we would try and visit Cesari vineyards later that week. At the end of the evening we were nearly the last ones there, nearing the end trays of Parmigiano Reggiano were brought out... three chunks of that down and that was nearly 25 euro worth of cheese!! Then slowly but surely everyone who had been working the event began becoming part of the event themselves... must be nice working in the wine industry. Out on the balcony of the Gia Baglioni we popped champagne with the various vineyards (literally). Overall... I wish this happened every week. I now know never to underestimate an Italian wine event. I tried wines that I would never have tried on my own. I learned some things, like Cesari exports their Liano (cabernet) to the states because it has a safe taste, that is palatable to most Americans (I think this was a negative connotation, but hey I was an example of that, haha), and that it takes time to like the more daring tastes like Chianti or merlot mix. And I learned that America needs to be more daring in its wine choices because it is also lacking the fabulous taste of Pignoletto. My personal bolognese favorite. Needless to say, I think Melissa had a fantastic night, I think we tried mortadella dishes we would have never dared to try or come across before, and we made some new friendships. Basically, God Save the Wine needs to return to Bologna before I leave, or it can make its way across the Atlantic to show the states what wine is really about!